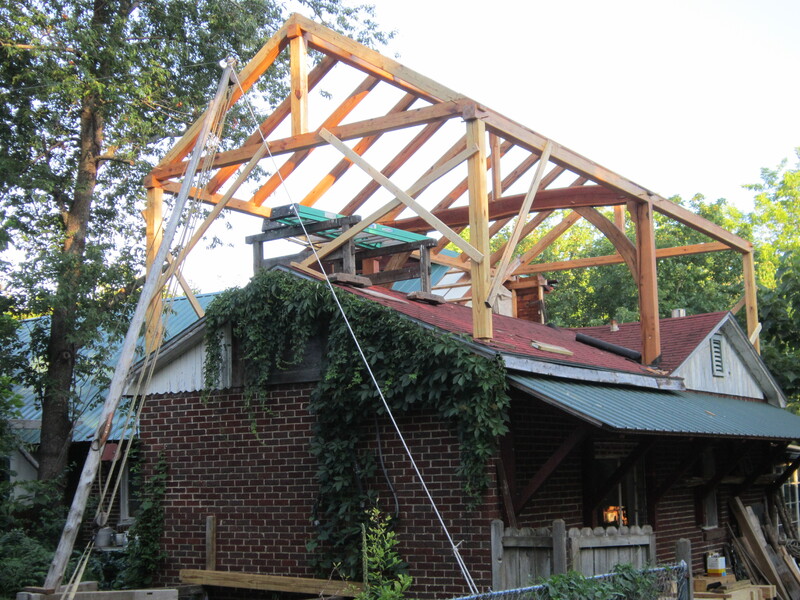 I have just finished raising a timber frame on my own house, a second-story addition over an existing structure. Part of the financing came through a grant from the Folklife Studies Program at ASU (Mike Luster), originating from the NEA. There were no hard directives with the grant, but the basic idea was that I have an apprentice for some part of the six month period Jan-June. I have accomplished that, and have a reasonable amount of photo-documentation (unedited). Ben Jackson, the apprentice, has moved on to Asheville for the next month, returning late July to work with Keith Newton in LR. For a lot of reasons (sub-prime mortgages, etc…), the work that I have taken up is not particularly marketable at this time. It ends up as capital improvement to real property, a sizable investment, and requires at the least a foundation and a roof. The frame itself, I consider to be more of a vehicle for teaching/learning, and that is reason enough. 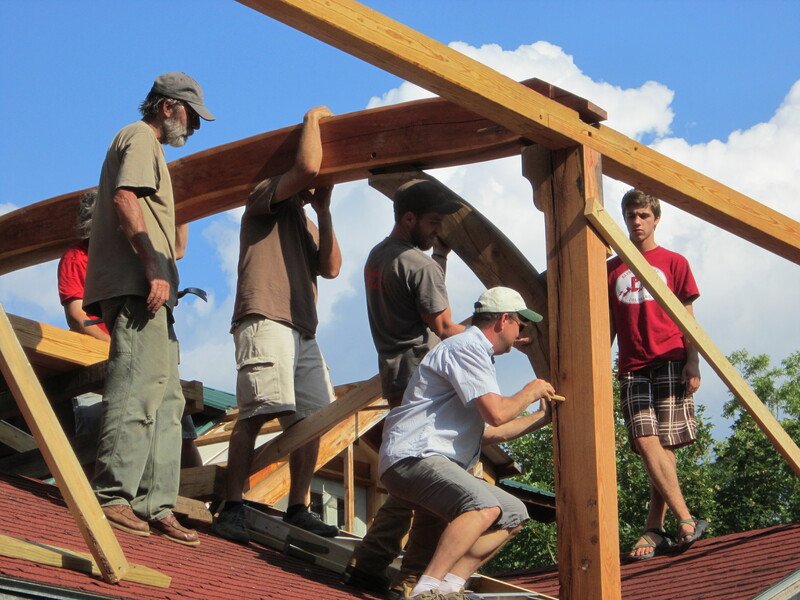 Once it is complete, you’re back to conventional housebuilding. That’s Ben in the middle, holding the brace. Quin Thompson, with the peg, is Reed Thompson’s son; an architect and currently city planner, he’s been involved in half-a-dozen raisings with me. 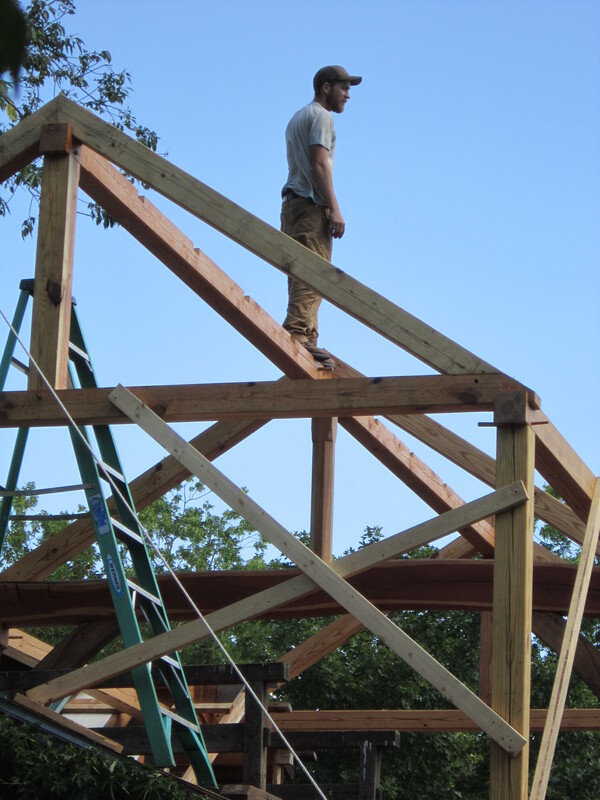 Clancy McMahon, holding the beam, is a mason/builder who always finds the time somehow to show up. This entry was posted in architecture, carpentry, traditional building and tagged Apprenticeship, Timber framing, Training. Bookmark the permalink.